2018 Funko Pop Bright figures are not a myth! The debut release from Pop! Movies features subjects from the Netflix crime drama set in a fantasy world. 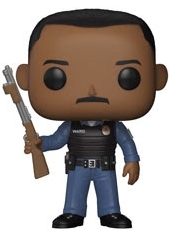 Police officer Daryl Ward, portrayed by Will Smith, dons a bulletproof vest over his blue uniform while wielding a shotgun in one hand. 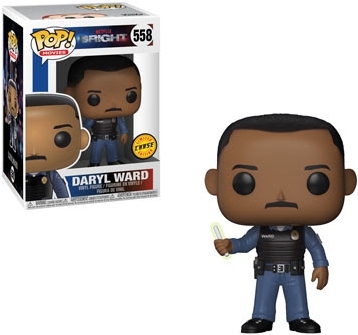 Nearly identical, the chase variant shows Ward holding the magic wand. Matching his human partner, the rookie cop Nick Jakoby also wears police attire. 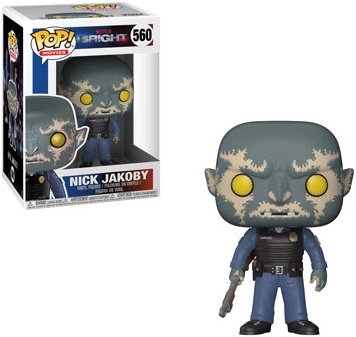 Sporting a weapon, as well, Jakoby is an orc, which is made clear by his bluish face and yellow eyes. 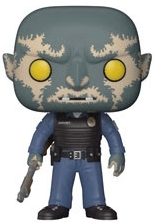 Order Pop Bright Figures on Entertainment Earth. Additional magical representation in Funko Pop Bright comes with the elves. 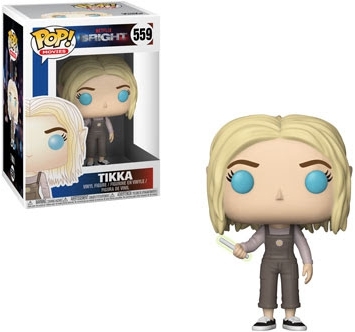 In possession of the sought-after wand, Tikka has blue eyes and blonde hair. She stands in brown overalls and sneakers. Although Leilah is a dark elf, her appearance resembles the younger Tikka. However, her hair slightly covers arched eyebrows which give the self-proclaimed warrior a fierce (and intimidating!) look. 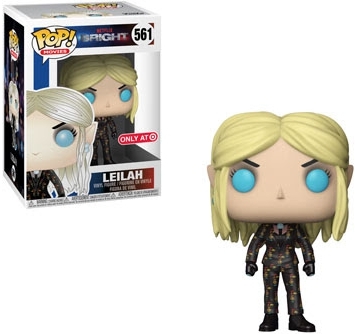 Collectors can find Leilah at Target locations. Bright - Daryl Ward (With Chase) Pop! Vinyl - FunKo Free Shipping!